Glycerin, Butylene Glycol, Carbomer, Mel/Honey/Miel, Caprylyl Glycol, Phenoxyethanol, Panthenol (make lips supple), Sodium Hydroxide, PVP, Ammonium Glycyrrhizate, Aloe Leaf Juice Powder (gives the formula a soft, moisturizing consistency), Vitamin B5. The Body Shop Lip & Cheek Stain (Rs 965/- for 7.2ml) is a dual-purpose liquid stain that gives lips and cheeks a natural pop of buildable color. When I first tried the stain, it was a plum-mauve color that after applying seemed to give an rosy glow to the skin. This color, Dutch Tulip, is a bright orange. The texture is like a watery souffle. The color looks natural only if you are able to blend it well. Do remember that while the gel-based formulation gives your lips a supple and luscious look, it is fast drying and must be blended really quickly. 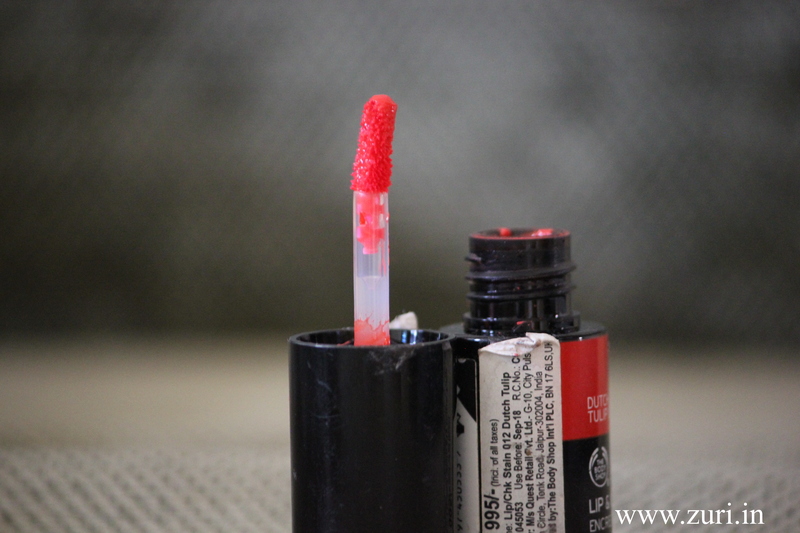 The thin formula allows it to absorb into your lips rather than sitting on top like lipstick. Face it, the first thing you notice about anything you buy is whether it is value for money. This one, sadly, is overpriced. And the size of the bottle has been reduced! The fact that it is a lip stain and also a blush should mean the price should be made more affordable. Why else would people switch from a lipstick and a blush to a product that is 2-in-1? The fact that the applicator wand is much shorter in length also means that one does somehow end up having too much of the product on the sponge applicator. Long lasting – it stays with eating and drinking for about 8 hours! 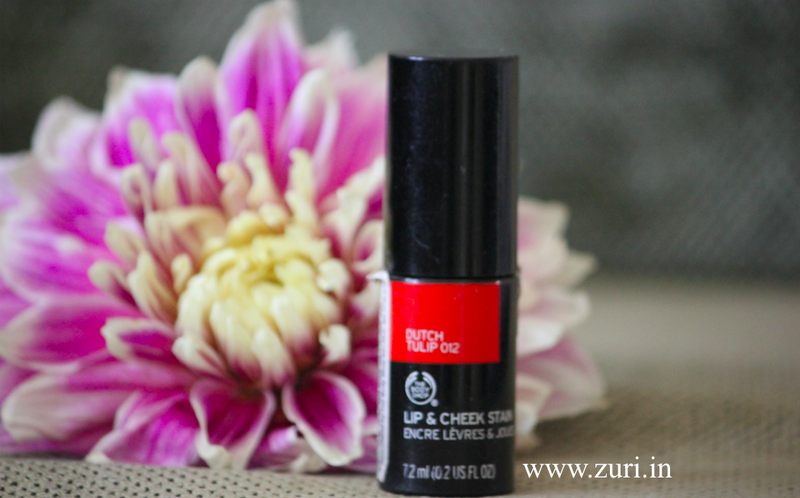 Can be used as a blush or a lip stain. The new bottle is smaller in size – the product is less, compared to its predecessor! 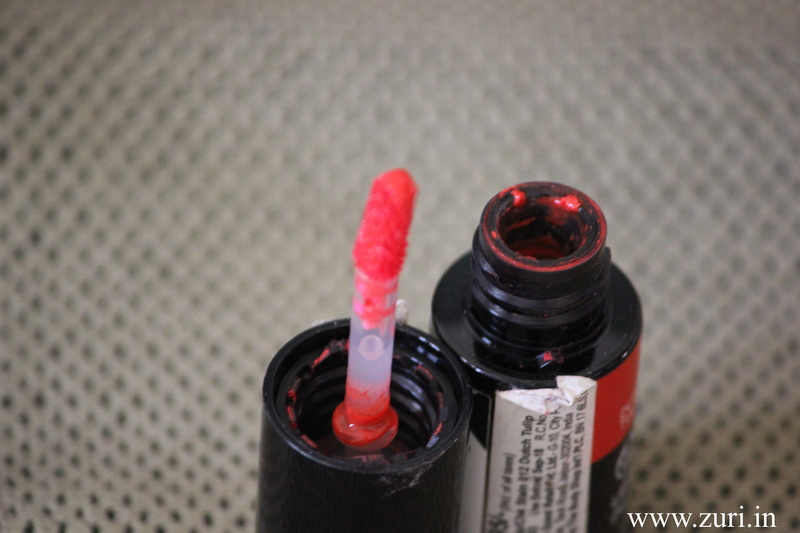 The bottle is opaque – you cannot see how much of the product is left! The vacuum-like closing also means that you cannot force the last few drops of the product out! Quite drying. A few hours after putting on lip balm over the stain, it starts fading at the edges and my lips don’t look as defined. Doesn’t stay longer you have to keep applying it. Might make dusky complexions look ‘painted on’. Dab onto lips or cheeks straight from the applicator. Blend using clean fingertips. Reapply for added intensity. Can be used under gloss as well. A good tip is to use a moisturizer underneath so blending is even and lips stay hydrated.